For the main time, we will be adding two kinds of Hackathons to the ones we already have. These are Code4Community and Code4Startup. These hackathons will mostly take place on Saturdays while we have Sunday for Sports. Keeping mind and body healthy. Code4Community will comprise hackathons building things to be used by the Community. Examples include our www.madeinbuea.com website, and the app to be used for our Conference. Code4Startups will comprise on helping startups that have already built something polish and complete features, build marketing strategies, branding tools, email copies, proposal design, etc. For now we have one Code4StartUp for LCMTours, one Code4Community for our Q & A app, and another upcoming one for www.madeinbuea.com. 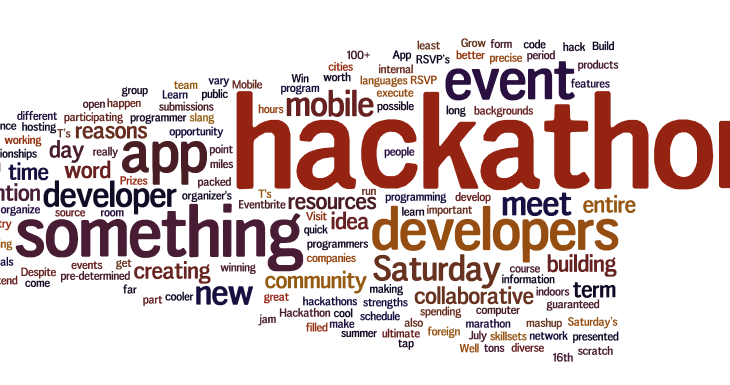 Events Code4Community, Code4StartUps, Community, Hackathons, Startups. permalink.